In regard to non-linear video game story structuring, in fact, that is where Dramatica excels in ways no other system has been able to achieve. To illustrate how, we need to take a few steps back and then work our way forward again to iterative gaming theory. In the beginning, there was the tale – a simple logical step-by-step progression that described a journey from a point of inception to a destination, documenting the key events along the way. This evolved into a more complex form that included not only the logical progression, but the passionate progression as well – a heart-line in addition to a head-line. In other words, a complex tale is the intertwining of two causal linearities in which they do not run in parallel but alter the progression of each other. Such a complex tale can have situations driving emotions, in which case the passionate side is derivative and reactive, or it can have emotions driving activities, in which case events are slaves to passion. This establishes a causal hierarchy between our intellect and our feelings. But, the most complex of all tales shifts between the two drivers to alternate which one is driving the other. For example, starting at a given logistic and emotional state, it may be the logic that determines the first event, which then leads to a change in feelings which then determine the next course of action. It is just such an arrangement that constitutes the essence of the “hero’s journey”. All of these possibilities are still tales, and thus constitute what Dramatica considers to be the first order of storyform. At the next level of magnitude, we encounter the linear story, as opposed to the linear tales I’ve just described. As a quick and loose analogy, imagine a television picture on an old tube set. A single complete frame of video is constructed by a series of scanning lines creating a horizontal stack of lines. Each line in the stack varies in luminosity and color, much as an individual tale varies in logic and feeling over the course of its linear progression. A story, therefore, is a far more demanding form, requiring every beat, scene, sequence, chapter and act to be part of a larger overall message. Each piece must do double-duty, making sense in its own internal linear progression over time, and also filling in its proper place in the overall spatial understanding when the unfolding of the story is complete and the message made manifest. This is the equivalent of a single storyform in Dramatica, and why the Dramatica Story Engine is able to translate and predict between what linear progressions are required to arrive at a given overall meaning, and, conversely, starting with a given overall meaning, to determine the order in which dramatic progressions of characters, plot, theme and even genre must occur. In Dramatica, this is considered a second order storyform, as its complexity is one magnitude beyond the tale. Now, we finally arrive at non-linear video game theory, which is yet one more increase in magnitude of complexity. Referring to my earlier analogy to a television frame being loosely equivalent to a story, whilst it is comprised of individual tales described by scenes and sequences, picture now the progression of television frames that constitutes a broadcast program. In Dramatica terms, this is equivalent to a series of fixed storyforms progressing from one to the next as if they were frames in a movie. Each storyform represents a mind set – a flash photograph of all of the elements and vector dynamics of the intellect and passion of a mind at a frozen moment of time. This is what we all commonly think of as a story in a novel, screenplay, or stage play. It is the exploration of a mind set and the author’s judgment as to whether that state of mind should be maintained or abandoned in order to arrive at the best possible outcome, taking into account both logic (success or failure) and feeling (good or bad). In interactive non-linear gaming, the goal is to create an experience in which each moment seems as ordered as a single storyform but is not bound by such an intractable arrangement. Hence, by creating a series of storyforms, one is able to construct an ever-changing environment, driven by the user yet guided by the designer. More specifically, the human mind (both intellectually and passionately) cannot jump willy nilly from any given mind set to any other directly – i.e. the stages of grief in which one will eventually experience all of the stages, but must pass through them in a specific, rather than random, order. Conversationally put, we can eventually get to any logical or emotional point, but from any given point, you can’t necessarily get there from here. Fortunately, the existing Dramatica Story Engine is designed to allow for the creation of such appropriate progressions that do not violate logical order nor emotional progression. Here is how it works. 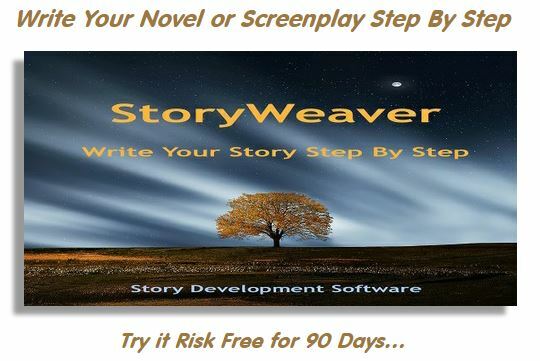 First, you create a storyform that represents the logical and passionate situation in which you want your non-linear story to begin. In the Story Engine feature, Dramatica allows alteration of a storyform in order to game out “what-if” scenarios and to test the appropriateness and voracity of a given storyform against another. This is accomplished by picking any given dramatic element in the Story Engine and “unchoosing” it by un-selecting a previously chosen item. Since a storyform is fixed by having enough cross-referenced story point (dramatic elements) that all other points are determined, by “opening-up” the storyform through the removal of the constraints of a single dramatic element only, then other previously fixed dramatic elements now revert to having several available options once more. 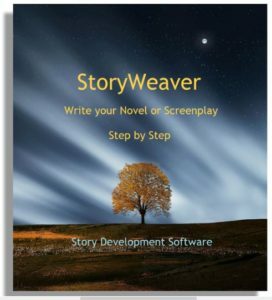 You now create a second storyform by making specific selections among one or more of these newly opened-up story points until you once more arrive at a single fixed storyform. This new storyform will be complete compatible with both logic and emotion as a next mind set in the ongoing progression of the game. In actual play, the designer would choose in advance which story point to “open-up” by removing the previously chosen selection but the end-user would then choose from the available options to determine the next storyform scenario. In simple systems, this choice would be a direct on from an options screen, but in more complex non-linear gaming, the choice of the next appropriate storyform in the progression would be determined by the manner in which the end-user had already progressed through the initial storyform, as the user has had the opportunity to select the order in which he or she has explored the elements of the initial storyform, and thus data can be gathered that indicates areas of lesser interest and therefore the best candidates to alter through opening up of the initial setting. Well, there is certainly far more detail and specific development involved in such an undertaking, but hopefully this indicates the capability and usefulness of Dramatica, both as a theory and of the software tool in its current incarnation, for non-linear storyforms as well as traditional linear stores and even simple or complex tales.